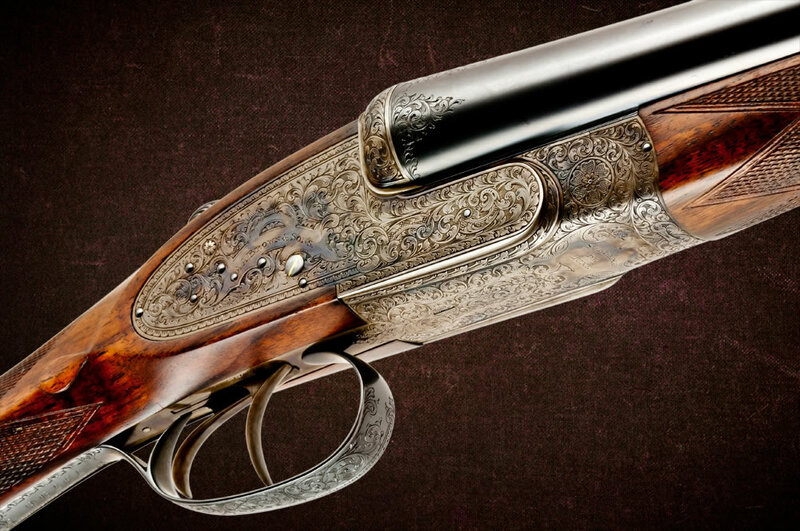 Few people in the double-barrel shotgun world know the name A.A. Brown & Sons. This isn’t surprising. 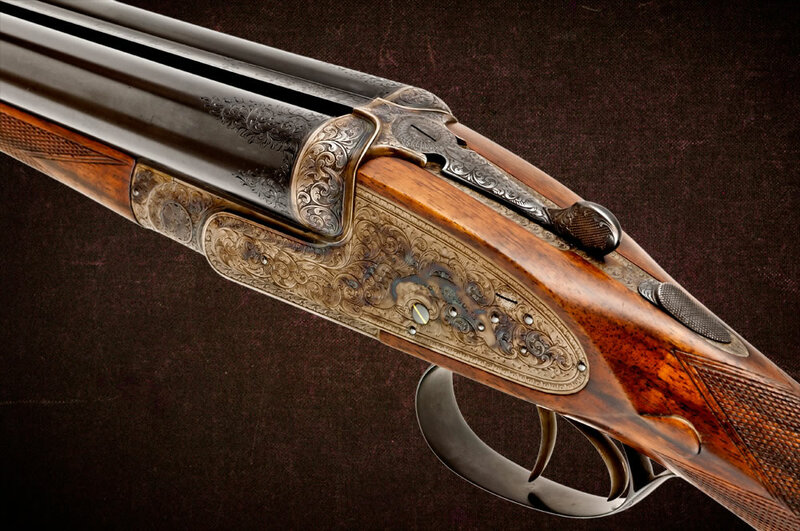 Even though A.A. Brown & Sons has been making doubles since 1938, they’ve spent most of their history making them for firms like Holland & Holland, E. J. Churchill, and Westley Richards (this sidelock Westley Richards is a Brown). Officially, it wasn’t until 1974 that A.A. Brown & Sons started making side-by-sides under their own name. So the one you see here is a bit of a mystery. Even though it’s clearly a Brown, its proof marks show that it made before 1954. So was it a one off that the family turned out for a friend, or a leftover that was finished off in house and then sold out the back door? Whatever its story is, the gun does looks well made. Check out the pics to see what I mean. At $2999, it’s a pretty good deal, too. Here are the rest of the specs on the gun from Cabela’s site: 7 lbs 9 ozs, 30″ bbls, 2 3/4″ chambers, Full and Improved Modified, 14 3/8″ LOP; 1 9/16″ DAC; 2 1/4″ DAH. 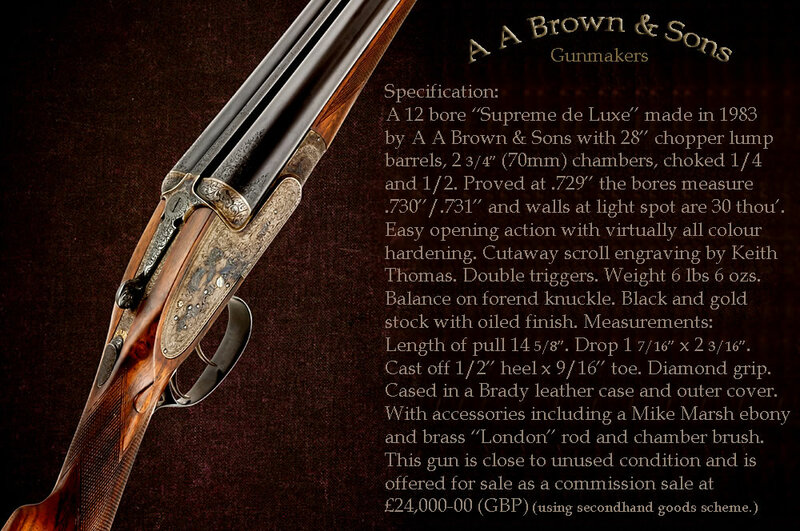 BTW: I’ve written about A.A. Brown & Sons before. You can read my earlier post here.